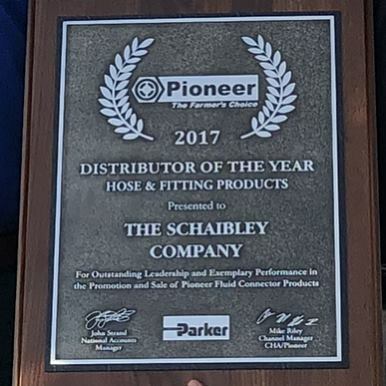 Parker Pioneer Recognizes The Schaibley Company as 2017 Hose and Fittings Distributor of the Year! 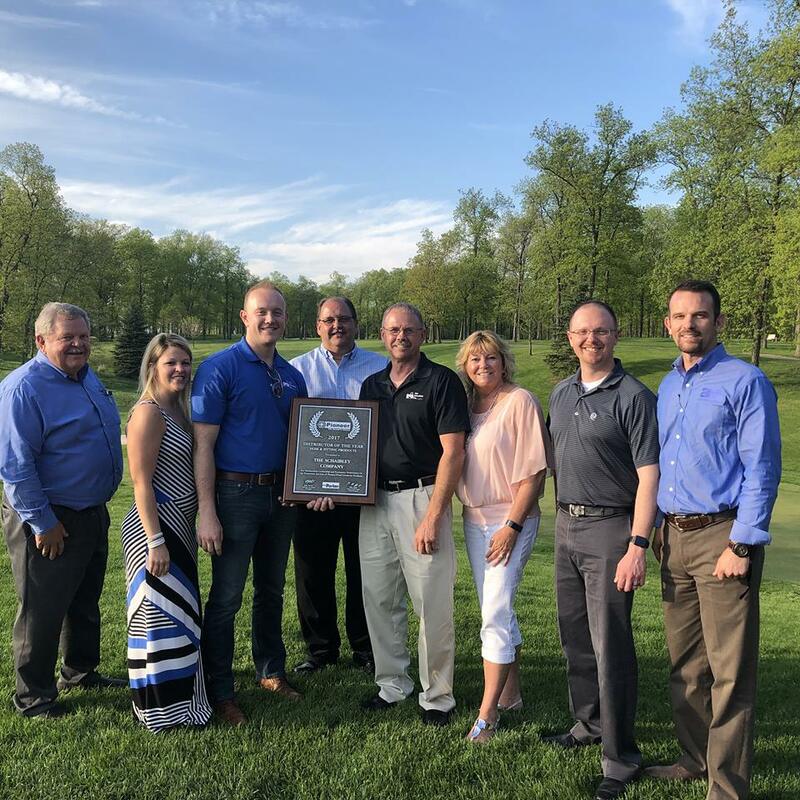 On Thursday the 10th of May The Schaibley Company was awarded the Nationally recognized Distributor of the year for 2017 By Parker Pioneer corporation in the Hose & Fitting Products Category. It is rewarding to be recognized in the agricultural supply business as being a leader. The Schaibley Company is proud of it’s employees and wholesalers who helped make this happen. We offer everyday parts for farmers, so it’s not a glamorous business that ordinarily attracts a lot of national attention. The hose and fitting products we carry are sold with the same everyday attention to quality and service that we give to all our products, and customers. “We were so surprised and so grateful for this accolade. It was not expected at all. Being self employed there are not many at-a-boys. This one was so awesome to us and our employees. It solidified that all our hard work and changes we made last year were all worth it.” Chris Baden, The Schaibley Company. But then again, the company DOES work hard to earn your business and your repeat business. So… it’s nice to be recognized for doing something we think of as ordinary and find out others think it is being done in an outstanding way!